She is pretty, she is “flawless”! True! Elie Saab was criticized for “bragging about an ex-Israeli soldier wearing his dress”! Yet, Yasser Arafat made peace with “ex-Israeli soldier” Yitzhac Rabin and with the so-called “architect of Israel’s nuclear program”, Shimon peres. Any lebanese patriot should stand up against Iran’s mullahs occupation of Lebanon (Israel withdrew from Lebanon eighteen years ago!). War mongers to hell! Or, to Qom..! 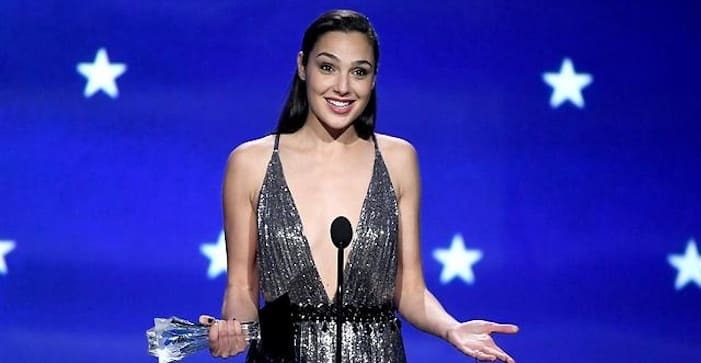 Dress designed by Lebanese firm worn by Wonder Woman actress Gal Gadot to National Board of Review Awards Gala causes uproar; designer’s Instagram post calls Gadot ‘flawless,’ later deleted; is designer ‘really pleased Israeli actress wears his dress?’ tweeted Lebanese journalist; Gadot later won #SeeHer award for trailblazing women at Critics’ Choice Awards; ‘I promise I will not be silenced,’ she vows. Israeli actress Gal Gadot won an award at the National Board of Review Awards Gala last week, but for once, something else eclipsed another stepping stone in her meteoric rise in Hollywood, namely her dress, designed by Lebanese fashion designer Elie Saab. Saab’s many fans in Lebanon, however, saw many flaws, and inundated the designer with scathing critiques, prompting him to delete the post. This was not the first time Gadot has faced backlash from Americans of Arab descent, not merely for being an Israeli but also for having served in the IDF. “I love and respect Elie Saab, but is he really pleased when an Israeli actress wears his dress?” tweeted Lebanese journalist Heba Bitar. Gadot has also faced criticism directed at her from Lebanon in the past. This past summer, after a multitude of debate on social media, Israel’s neighbor to the north decided not to screen Gadot’s starring vehicle Wonder Woman, as did several other Arab countries. The countries cited Gadot’s statements of support of the IDF during Operation Protective Edge as justification. The Israeli star has not publically addressed the Lebanese boycott of her movie since it hit screens. Surprisingly, a sequel she also starred in, Justice League, was cleared for screening in the country. Gadot, meanwhile, moved on to the next event cementing her newly-found position as a feminist icon, when she won the #SeeHer award at the 2018 Critics’ Choice Awards this past Thursday, and used the occasion to make a wonderful speech. Not trying to hide how moved she was, Gadot took to the stage and accepted the award from Wonder Women director Patty Jenkins. The award, handed out for the second consecutive year, is given to trailblazing women who—through their work—feminine stereotypes both on and off the silver screen. Last year Oscar winning actress Viola Davis was given the award. “I wanted to portray a strong and independent woman—a real one. All of these qualities I looked for, I found in her. She is full of heart, strength, compassion and forgiveness,” the visibly moved actress said.Gadot then went on to mention the year’s three highest grossing movies were directed by women and added that, “Although though this is progress, there is still a long way to go. As artists and filmmakers, I believe it’s not only our job to entertain, but to inspire and educate for love and respect. My promise and commitment to all of you is that we will continue to band together to make strides uniting for equality.”Later in her speech, taking place in Santa Monica, California, the star said she dedicated the award to the brave men and women who have made their voices heard this past year in speaking out against sexual harassment and assault. 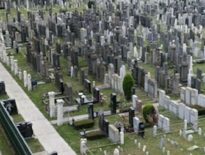 “But in the hands of Gal Gadot, Wonder Woman came back to life in all of her glory and is out there inspiring the world again,” Jenkins concluded.